Lauren! I found your Student ID in the park. If you still need it my office will get to you. Hanx. Let's take a moment to appreciate what a sweet gesture this is from the Oscar winner. Considering how much publicity the tweet will inevitably get, there is pretty much no way this ID won't get returned to its rightful owner. But interestingly enough, this is not Hanks' first brush with lost and found. He actually misplaced his own credit card a few months ago, and a New Yorker named Tony found and returned it to him. Clearly, Hanks is a fan of paying it forward. 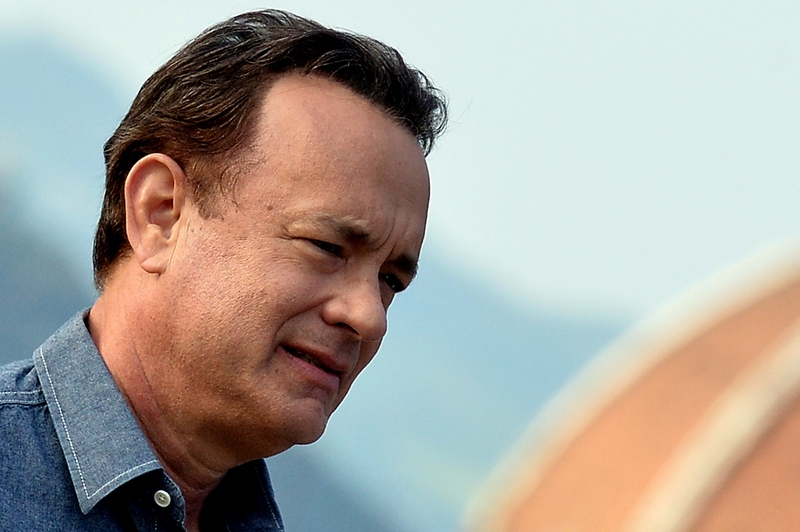 At the time, Hanks shouted the do-gooder out on social media by tweeting, “Tony! You make this city even greater! Thanx. HANX." It looks like the 59-year-old has recognized the huge impact that a small good deed can have on a person through firsthand experience (also, he's recognized that giving yourself an internet-friendly nickname is always a good idea #hanx). And the recognition was so much that Hanks paid it forward when he found himself in a similar situation as Tony. It just goes to show that sometimes "what goes around comes around" can be a very, very positive thing. No word yet on whether Lauren has gotten in touch with Hanks or anyone else in his office. But when she figures out what happened, I'm guessing it won't take her all that long. Update: According a woman who claims to be Lauren's roommate, the ID is back in the hands of its rightful owner.